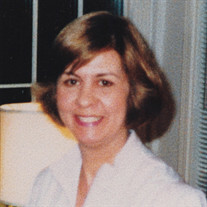 Elisabeth Gun Mason (nee Swärd) age 82 of Shaker Heights, OH. Beloved wife of Thomas A. Mason for 52 years; loving mother of Thomas L. Mason (Alison) of Evanston, IL, and Robert A. Mason of Shaker Heights; dear grandmother of Lily, McHenry and Halsten; sister of the late Kurt Swärd (Gunvor); aunt and great aunt of many. Born in Stockholm, Sweden on November 21, 1935, Elisabeth passed away on March 4, 2018, at home with family. The family suggests memorial contributions to cancer research or the charity of your choice. Private Services will be held in the spring.